Freuds 1922 paper, “Some Neurotic Mechanisms in Jealousy, Paranoia, and Homosexuality” moved psychoanalytic discourse beyond narcissism as the bedrock for homo-sexual desires, arguing paranoia as another cause. This was the first paper of Freud’s Lacan officially translated in 1932 utilising Freuds theories for his doctoral research, investigated homo-doublings and homo-sexuality within paranoid structures, delusions and manifestations.Just as Freud universalised homosexual unconscious wishes, so Lacan normalises paranoid delusions, not as false meanings but personal ones, psychical functions of representation. 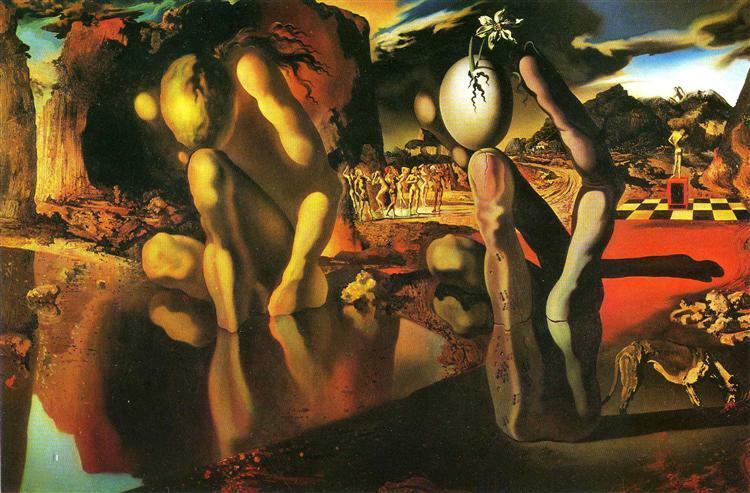 Both Freud and Lacan would attract the attention of Dalí precisely because of these theorisations on paranoia, narcissism, ideal-egos, with not a little sublimated homosexuality being informed. Dalí’s Metamorphosis of Narcissus illustrates these psychoanalytic queries, motivated consciously and unconsciously by Dalí’s own personal questions, paranoia and sexuality which converged around his own actual double, the original Other Salvador Dalí, his dead older brother. Artwork by Vanessa Sinclair. 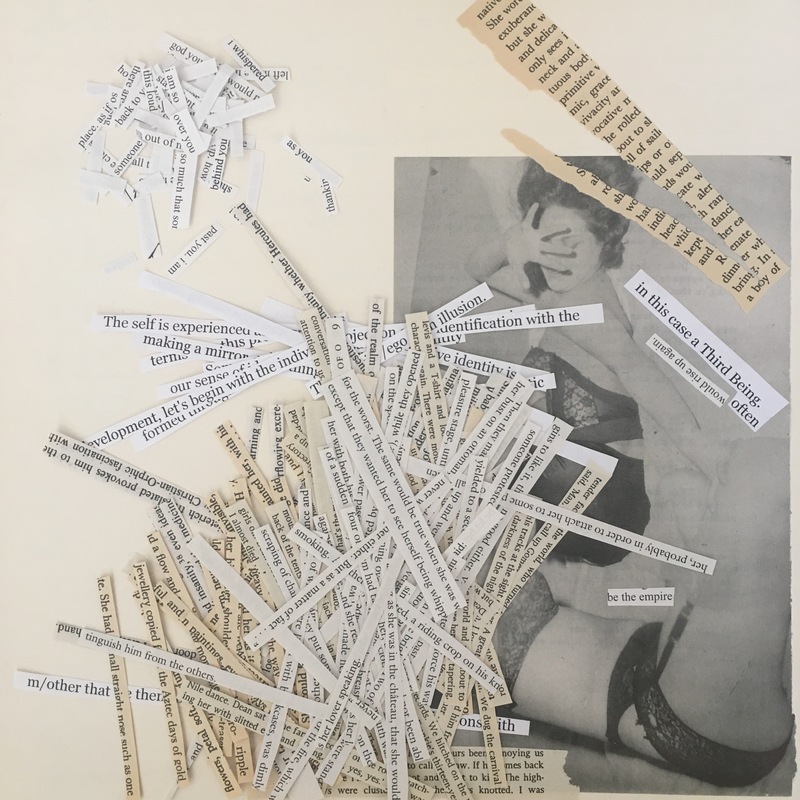 A book of her cut-up poetry SWITCHING MIRRORS is available through trapart.net and CHAOS OF THE THIRD MIND with artist Katelan Foisy is upcoming from Fulgur.